Standing a few feet from where the killers opened fire on Ken Rex McElroy more than three decade ago, Harry N. MacLean explains how he came to write his Edgar Award-winning book. MacLean had doors slammed in his face, guns pulled on him, and was bitten by a dog. Eventually, he won over the closed community of Skidmore, Mo. The inhabitants shared with him the reign of terror Ken Rex McElroy inflicted for twenty years in Northwest Missouri, and information about his murder on the main street of Skidmore in 1981. Despite 45 witnesses, the case remains unsolved. MacLean tells the story in his book “In Broad Daylight,” first published in 1988. “The Story Behind ‘In Broad Daylight’” brings the book up to date and includes several previously unpublished pictures. It also answers many questions about the killing itself, such as who was involved, and what has become of them. The author discusses the nature of the moral consequences of the killing for the town and those involved in the killing. MacLean describes the breakthrough events when key characters agreed to speak with him, and he realized he would finally get the story. “In Broad Daylight” was a New York Times bestseller for 12 weeks and was made into a movie starring Brian Denehey, Cloris Leachman and Chris Cooper. It was re-released as an e-book on Amazon on July 10, the 31st anniversary of the killing. 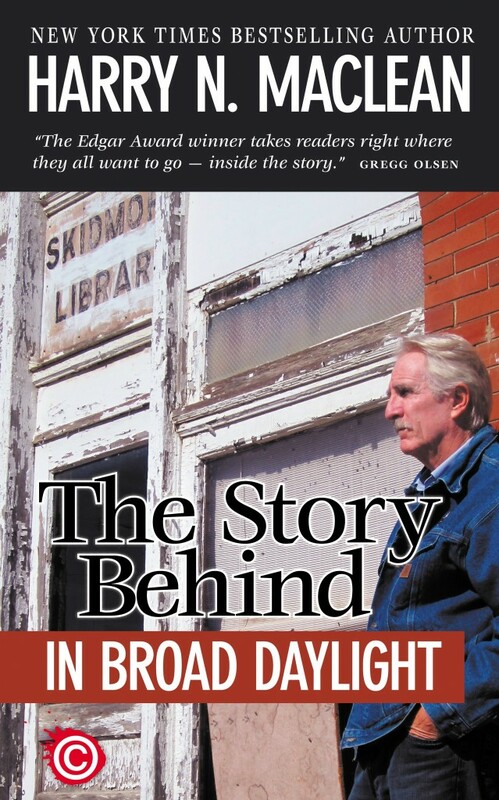 “The Story Behind ‘In Broad Daylight’” is available in Kindle format at tiny.cc/StoryBehind. Click to Purchase Kindle Edition. A very factual accounting of real life in small, Midwest farm towns and “rest of the story” behind the book. If you read the original book or saw the movie, you should follow up with this one. Its a quick read that I couldn’t put down.